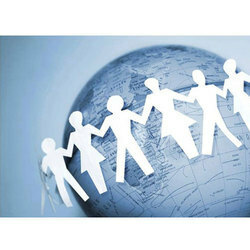 We are the leading service provider of Outsourced Staffing Services. Are you looking for dedicated Ruby on Rails developers on rent Hire Ruby on Rails Developers India from Addon Solutions to get quality services and effective RoR solutions @ affordable rates. We have been known for expert outsourcing and staffing services. utSource offers you a variety of solutions to your staffing needs. We offer temporary, temporary to permanent, and permanent placement services. We can accommodate both short-term and long-term needs. 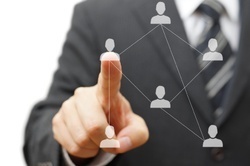 OutSource staffing can provide your companies with the talent needed to further the interests of your company. We are temporary staffing and employment service providers from Mumbai, India. A temp is a temporary worker with an organization who will be on our payroll. The reason is not too difficult to guess as organization focus on their core business strengths in a highly competitive environment, the non core functions are outsourced. For specialized projects, which might not be part of your core operations or within the range of expertise for your regular employees, IZee has an answer. We provide for all your project based temporary staffing needs with our specialist employees who will ensure that your work will be done without compromising the quality and standards of your business. We are highly engaged in providing Temporary Staffing Services to our clients. These professionals are selected after stringent recruitment process and then trained according to the work skill required. They specialize in rendering their services in a designated time frame as specified by our respected clients. We offer a full range of IT Staffing Services to equip you with the people, skills and competencies required to get IT done. Through our IT Staffing, Recruiting and Professional Placement services, we help to save you time, cost, and frustration.